Interested in learning how to use the all-new Final Cut Pro X? Don’t miss this free video learning tutorial set from IzzyVideo. There’s no signups or strings attached (other than owning Final Cut Pro X of course), just set aside some time and start learning. 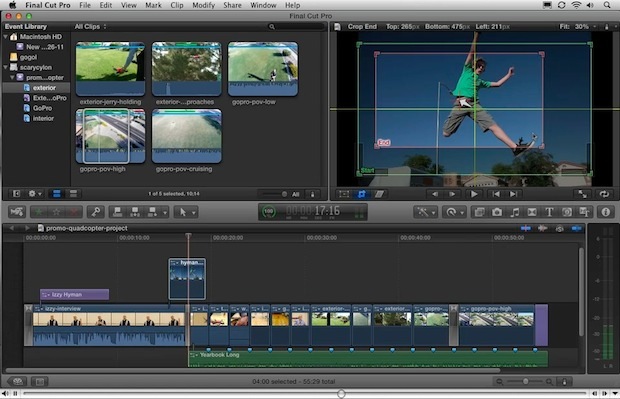 The video training tutorial does a good job of showing you how to use Final Cut Pro X and all it’s new features. Coming in at 2 hours and 39 minutes in total length, the tutorials are broken into 26 different video segments for easy viewing, covering everything from the new interface, to different types of edits, tools, precision editor, transitions, titles, transformations, various effects, storylines, adjusting video timing, color correction, importing from a camera, and much more. In related news, Apple published a new FAQ on the app to help address some of the questions and FCP X’s mixed response since launching. There’s no trial of software on the App Store, but if you want to download iMovie Pro err I mean Final Cut Pro X, then this tutorial is actually quite good at showing you the ropes. U kknow where I can get one for free… ?